Versatility is the word of the day with the BMC Speedfox, a bike that has been built to be all business without any of the frills in between. This machine looks and feels powerful, able to entertain anyone at high speeds with the best responsiveness out there. The BMC Speedfox was what we felt was the perfect cross between a racer and a trail bike. The carbon frame of this Swiss bike is really one of the best when it comes to frame design. Great detailing and internal cable routing lead to a far smoother ride experience than one would expect, while the kit is decent enough to be on par with the performance of the chassis. 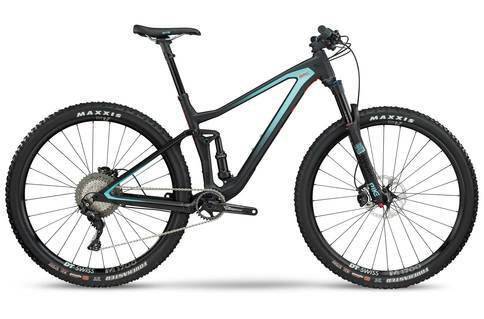 Shimano XT cranks, an SLX derailleur and brakes, along with a 2by10 transmission lead to this bike being great for both sprinting and marathon riding, which we though would be perfect for all our long distance needs. One thing we noticed above all else was that the frame was stiff. Without a doubt, this carbon beauty was rock solid. Every little motion of our bodies led to a nice, evenly matched response from the bike itself, leading to gorgeous levels of precision, control and handling when riding the powerful Speedfox. This is a nimble, powerful and incredibly resilient bike that is made to make you happy no matter what use you put it to. Being an all rounder, it is great in any situation! We had such a great time riding the BMC Speedfox we didn’t want to let it go. While it didn’t have much for us to complain about, the bike really did outperform most others in the same class of machine, and we were grateful for that.